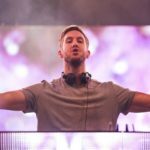 News of a Calvin Harris car crash filtered through from Friday night and it was a pretty serious accident with the world’s highest paid EDM DJ rushed to hospital. 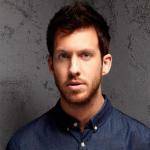 The Calvin Harris car crash was a violent one with a VW Beetle crashing into his Cadillac SUV in LA. 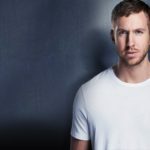 He naturally missed his residency set at Omnia night club and headlining Hangout Fest. Harris was not driving and was the only passenger in the SUV. It does not sound like he was injured too badly with no more than lacerations to his face although that is a million dollar face he has! The VW was driven by a 16 year old who lost control. The car was full of teenagers with one girl who was sitting on her boyfriends lap ejected from the vehicle. The driver of the VW allegedly broke his pelvis. Harris refused to stay at the LA hospital the paramedics took him to, as there were no private rooms available so he left. 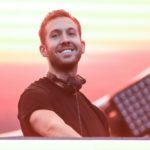 Whilst this Calvin Harris car crash would have no doubt left the artist shaken, it sounds like he got off fairly lightly and will be back behind the decks within a week. Not so fun for the teens in the VW bug of course, but all accounts of the accident suggest it was the driver of the Beetle’s fault.